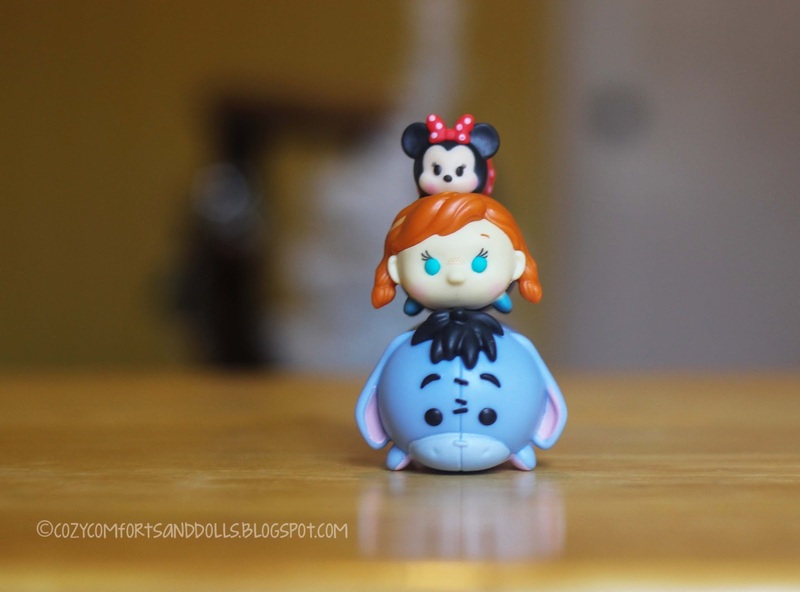 Cozy Comforts and Dolls: More Disney Tsum Tsums! 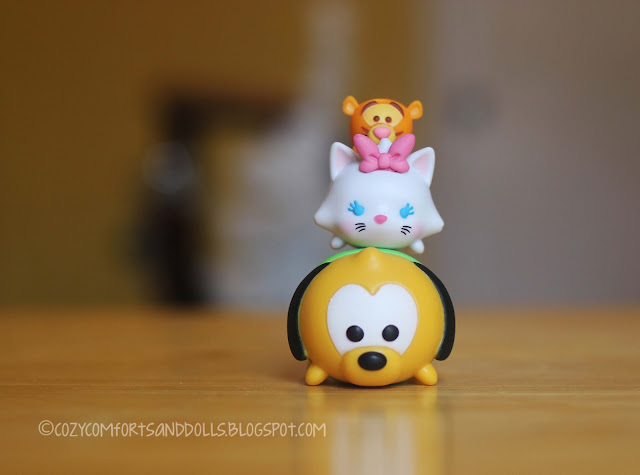 This winter we (I) got sucked into another collection, and that is the Disney Vinyl Stackable Tsum Tsums. I did my first review here and have since added 2 more three-packs from the Series 1 collection. They are too cute not to share so here are a few photos! We found ours at Walmart for about $4.95 per pack of 3. 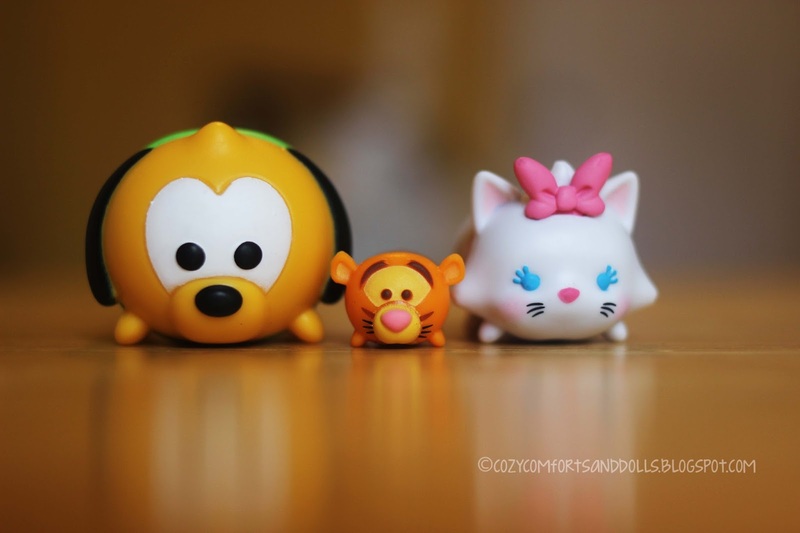 The first pack included Pluto, Tigger and Marie (from The Aristocrats). I love that they are including so many classic Disney characters into this line. I'm not really interested in the modern characters, but I really have a soft spot for the ones I grew up with! 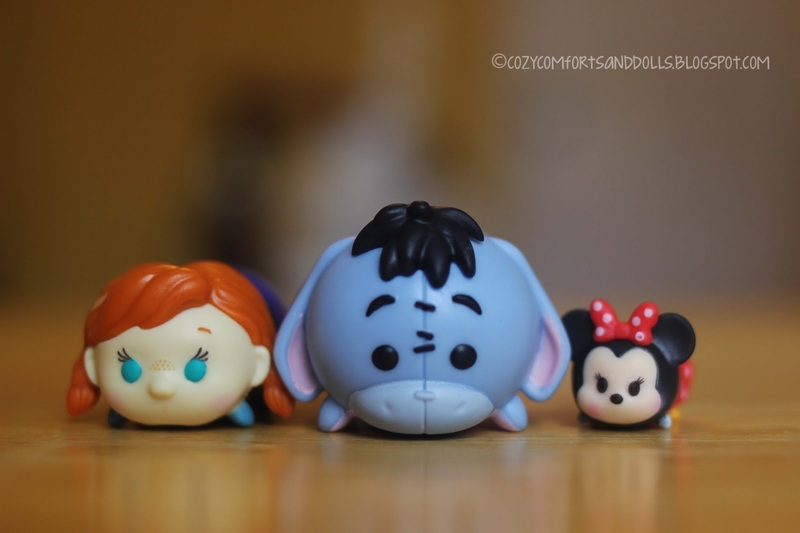 The second pack included Anna (from Frozen) Eeyore (from Winnie the Pooh) and Minnie Mouse. Ahhh!! These are SO CUTE! *_* It looks like the paint job is pretty good, too! Very, very, cute Farrah. I only have one Tsum Tsum that Alasse sent me, and it's a plushy. Well, if one must get stuck in another collection, this is a great one to choose. Oh I really love Eeyore, he has always been one of my favourite Disney characters.